The graph below shows a distribution, by country, of the attacks seen by a laptop exposed to the open Internet for 4 hours on July 23, 2017. 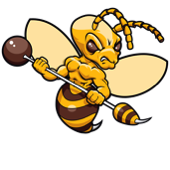 TCP 23 (telnet) and TCP 1433 (MSSQL) were exposed and attack payloads directed against those services were recorded by honeypots running on those ports. All attacks are listed below together with a discussion of two particular IOT (Internet of Things) attacks. The laptop exposure was inadvertent and possibly related to Universal Plug and Play (UPNP) being enabled on the home router. The laptop happened to be running an HPSS honeypoint agent with fake listeners on several common service ports. The agents send alerts to a central console that records information about the attack in a database and optionally writes to a log. Those log entries are provided at the end of this post. Attacks against unsecured IOT devices are a reality – and they are happening right at the Internet boundary of your own home or business. Note that events similar to those described below can – and do – happen within the firewall. 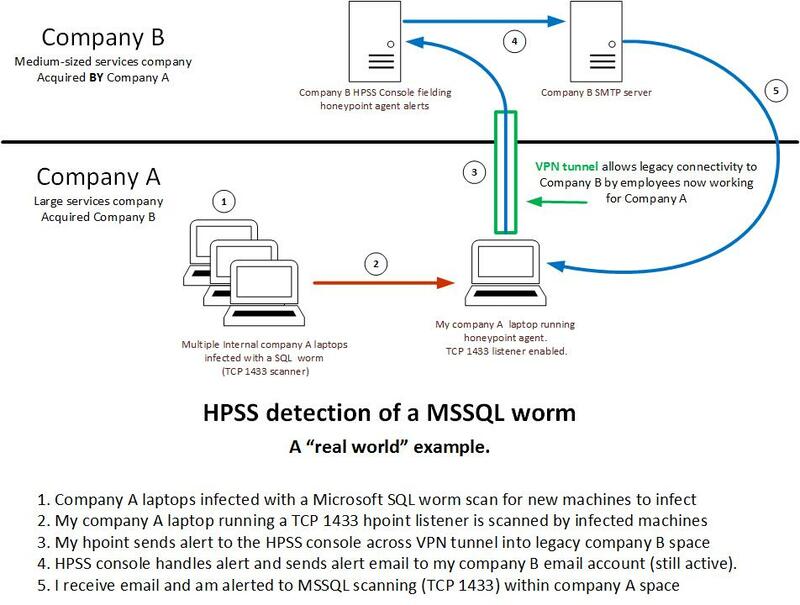 See our previous post on the use of honeypots to detect the spread of malware within the private internal space of an organization. If you are not already using some form of honeypot as part of your IDS strategy, consider doing so. They are normally quiet watchdogs – but when they do bark, there really is something going on you need to know about. ==> Oh.. and UPNP? If that’s enabled on your home router, TURN IT OFF! 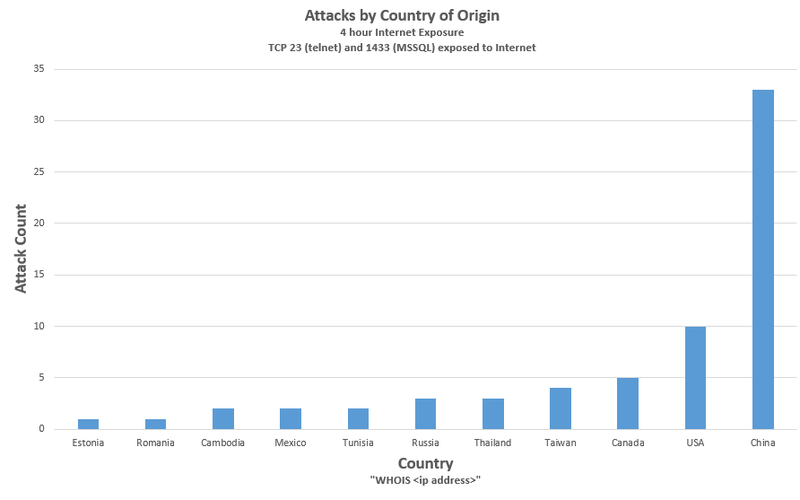 The sources of attacks were diverse by country of origin. The attacking systems were almost certainly compromised systems being used by the attackers without the owners awareness, although state-sponsored activity cannot be ruled out. The attacker IP (1.30.116.116 ) is registered in China/Mongolia. 185.165.29.111 – the source of the script – is an IP associated with Germany. The few IP’s with reverse DNS in that /24 are associated with Iran (.ir domain). The “ew” program is known malware…..
An unfortunate event, for sure. Still, the presence of honeypots on the targeted machine allowed us to capture real-world attack data and learn something of the reality of life beyond the firewall. The Mirai botnet malware – and its variants – go from being something read about to something actually seen. Always useful for understanding threats and planning meaningful defense. Here are the raw log entries of attacks seen over the 4 hour exposure interval. The ones discussed above and some others of interest in bold. Jul 23 19:43: hpoint-2371 received an alert from: 222.174.243.134 on port 1433 at 2017-08-06 19:43:55 Alert Data: Non-ASCII Data Detected in Received Data. Jul 23 19:45: hpoint-2371 received an alert from: 222.174.243.134 on port 1433 at 2017-08-06 19:45:36 Alert Data: Non-ASCII Data Detected in Received Data. Jul 23 19:49: hpoint-2371 received an alert from: 110.81.178.253 on port 1433 at 2017-08-06 19:49:38 Alert Data: Non-ASCII Data Detected in Received Data. Jul 23 19:49: hpoint-2371 received an alert from: 110.81.178.253 on port 1433 at 2017-08-06 19:49:50 Alert Data: Non-ASCII Data Detected in Received Data. Jul 23 20:20: hpoint-2371 received an alert from: 210.51.166.39 on port 1433 at 2017-08-06 20:20:15 Alert Data: Non-ASCII Data Detected in Received Data. Jul 23 20:20: hpoint-2371 received an alert from: 210.51.166.39 on port 1433 at 2017-08-06 20:20:26 Alert Data: Non-ASCII Data Detected in Received Data. Jul 23 20:50: hpoint-2371 received an alert from: 218.64.120.62 on port 1433 at ASUS:2017-08-06 20:50:26 Alert Data: Non-ASCII Data Detected in Received Data. Jul 23 20:50: hpoint-2371 received an alert from: 218.64.120.62 on port 1433 at 2017-08-06 20:50:37 Alert Data: Non-ASCII Data Detected in Received Data. Jul 23 22:11: hpoint-2371 received an alert from: 60.171.201.182 on port 1433 at 2017-08-06 22:11:48 Alert Data: Non-ASCII Data Detected in Received Data. Jul 23 22:11: hpoint-2371 received an alert from: 60.171.201.182 on port 1433 at 2017-08-06 22:11:59 Alert Data: Non-ASCII Data Detected in Received Data. Jul 23 22:43: hpoint-2371 received an alert from: 41.231.53.51 on port 1433 at 2017-08-06 22:43:28 Alert Data: Non-ASCII Data Detected in Received Data. Jul 23 22:43: hpoint-2371 received an alert from: 41.231.53.51 on port 1433 at 2017-08-06 22:43:39 Alert Data: Non-ASCII Data Detected in Received Data. Jul 23 23:02: hpoint-2371 received an alert from: 1.30.218.39 on port 1433 at 2017-08-06 23:02:40 Alert Data: Non-ASCII Data Detected in Received Data. Jul 23 23:19: hpoint-2371 received an alert from: 54.145.111.48 on port 443 at 2017-08-06 ASUS:23:19:23 Alert Data: Non-ASCII Data Detected in Received Data. Your Mom sends a funny cat video link on YouTube. Your department head sends a link for the training schedule. There’s an email in your Inbox from Amazon for a laptop sale. Always think twice before clicking on any of those links. Is that email really from Mom or the department head or Amazon? Even if it was really from Mom’s account, is that link really for a cat video on YouTube? Her account, could have been compromised, and the email sent with an obfuscated link. Phishing campaigns are effective; estimates range from 60 to 90% of all email is a phishing message. MicroSolved’s social engineering exercises have yielded from 11 to 43% success – success meaning recipients have clicked on the benign links in our phishing exercises for clients with their employees. Estimates average 30% of phishing links are clicked. So, never click on a link in an email. OK, that may be a little absolute. Only be certain that the link is what you expect it to be. Hover over the link and either a popup or in the status bar of your email client/browser will display the URL. Verify the domain in the link is valid. Simple link obfuscation techniques such as registering a domain named yuotube.com (note the spelling) is an easy phishing and effective trick. Another trick is hiding the URL behind friendly text, for example, click here. This technique could easily have been used to create a link = stateofsecurity.com – but the the link actually browses to MicroSolved’s home page. Image links are not immune. That Amazon logo in the email – does that really link to amazon.com? Hover over the link to verify the URL before you click on it. Or better yet, open your browser, type amazon.com in the address bar, then search for and browse to the laptop sale. By the way, don’t browse to yuotube.com, just take my word for it. Similarly, while browsing or surfing the web, it is always good practice to verify links before you actually click on them. Hover and verify. So, now that you’ve clicked on that link and landed on the destination web page, are you sure that’s chase.com’s login page? Before you enter your bank account login credentials, check out the URL in the address bar. Make sure it’s https. Any URL that requires you to enter some identification should be over the encrypted protocol, https. Note that chase.com is part of the URL, but the login.html page is actually in the badbaddomain.com. The attackers are counting on users to notice the “chase.com” in the URL and click on their link. Once clicked, the user is to taken to a rogue web server with a login page that mimics the real login page for the bank. If the user continues with typing in their authentication credentials, the trap has sprung – the rogue server has saved the user’s credentials, and the bank account will soon be drained of its funds. Often, after the user enters the credentials, they may be redirected to a valid 404 error page in the user’s bank server, and the user imay be a little confused but unaware that they’ve just given away their credentials. Current browsers have a feature to help users pick out the actual domain name from the URL – in the top image, the Firefox address bar displays the domain name part of the URL in black font, and everything else in a gray colored font. This is the default behavior; the setting can be changed for the entire URL be the same color format. Shortened URLs have become much more popular because of Twitter – it’s a method of reducing a long (regular) URL into a shortened version of usually 10-20 characters. However, because of the condensed URL, it’s not possible to determine the actual address of the link. In this case, it would be wise to copy the shortened URL and validate it with a URL expander website, such as checkshorturl.com or unfurlr.com or unshorten.it. It’s a minefield out there. Attackers are constantly phishing for their next victim. Be vigilant, beware of what you click, surf safe. This post describes a malware detection event that I actually experienced a few short years ago. My company (Company B) had been acquired by a much larger organization (Company A) with a very large internal employee desktop-space. A desktop-space larger than national boundaries. We had all migrated to Company A laptops – but our legacy responsibilities required us to maintain systems in the original IP-space of company B. We used legacy Company B VPN for that. I had installed the HPSS honeypoint agent on my Company A laptop prior to our migration into their large desktop space. After migration I was routinely VPN’ed into legacy Company B space, so a regular pathway for alerts to reach the console existed. After a few months, the events shown in the diagram below occurred. I started to receive email alerts directed to my Company B legacy email account. The alerts described TCP 1433 scans that my Company A laptop was receiving. The alerts were all being thrown by the MSSQL (TCP 1433 – Microsoft SQL Server) HoneyPoint listener on my laptop. I was confused – partly because I had become absorbed in post-acquisition activities and had largely forgotten about the HPSS agent running on my laptop. After looking at the emails and realizing what was happening, I got on the HPSS console and used the HPSS event viewer to get details. I learned that the attackers were internal within Company A space. Courtesy of HPSS I had their source IP addresses and the common payload they all delivered. Within Company A I gathered information via netbios scans of the source IPs. The infected machines were all Company A laptops belonging to various non-technical staff on the East Coast of the U.S.
All of that got passed on to the Company A CIO office. IDS signatures were generated, tweaked, and eventually the alerts stopped. I provided payload and IP information from HPSS throughout the process. I came away from the experience with a firm belief that company laptops, outfitted with HoneyPoint agents, are an excellent way of getting meaningful detection out into the field. I strongly recommend you consider something similar. Your organization’s company laptops are unavoidably on the front-line of modern attacks.